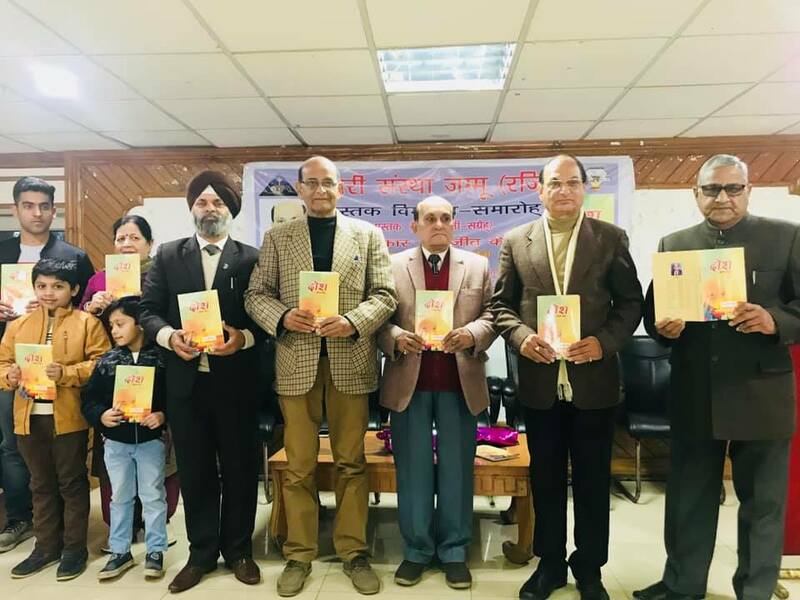 Dogri Sanstha organized a function to release a book of collection of Dogri short stories ‘Dosh’ written by Inderjeet Kesar. This is 21st book of Inderjeet, who is one of the most prolific writers of Dogri and is also recipient of the coveted Sahitya Akademi Award for the current year. Darshan Darshi, Convenor of Dogri Advisory Board in Sahitya Akademi, was the Chief Guest in the function which was presided over by Prof. Lalit Magotra, President of Dogri Sanstha. Dr. Arvinder Singh AMN, Additional Secretary, J&K Academy of Art, Culture and Languages was the Special Guest on the occasion. Darshan Darshi congratulated and complimented Kesar for the publication of the released book and for contributing to the corpus of Dogri literature by writing an astoundingly large number of books. He said, Kesar is not only a short story writer but is also a poet and novelist of very high calibre. His works are characterized by positive attitude towards life, a simple approach to complexities of life, chaste Dogri language and depiction of Dogra life, especially the life of rural Jammu. He said that Kesar’s works have enriched Dogri literature in more than one way. He also complimented Dogri Sanstha for providing platform to writers for showcasing their works to general public. Prof. Lalit Magotra, in his presidential remarks, elaborated at length on merits of the released book and categorized Kesar as a successful story teller, mainly due to the lucidity of his language and intense interest each story evokes in the mind of a reader. A sense of curiosity continues throughout the story, which is a sign of a successful piece of literature. Magotra also complimented Kesar for giving one book every year, since 1998, when Kesar retired from the Government service. He said that it is an extraordinary feat, which should be appreciated by all. Magotra lamented that as on one hand Dogri writers are contributing to Dogri literature with great zeal and enthusiasm, on the other the Govt. of J & K is completely failing in its obligation to promote this language by making it an essential part of School Education. Earlier, Dr. Arvinder Singh AMN, in his address said that Kesar’s book presents an authentic picture of Dogra, rural and urban life and each of his stories, inspires the reader to face the adversities of life with positive frame of mind. He said that Dogri literature is growing in a very wholesome and healthy manner, for which he complimented all Dogri writers. Inderjeet Kesar also read one of his stories from the book, which audience listened with rapt attention and with a big round of applause at its conclusion. The program was conducted and anchored by Dr. Nirmal Vinod, General Secretary of Dogri Sanstha. 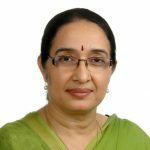 Gianeshwar, Vice President of Dogri Sanstha thanked the audience, media and all others at the conclusion of the programme.